A lot of things are in the works, now. 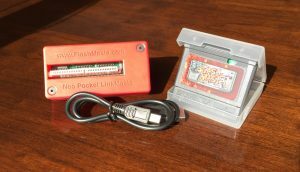 It’s difficult to keep juggling all the balls, but today I am finally announcing a cool new initiative to bring you a higher quality case for the Neo Pocket LinkMasta. Thanks to a partnership with 7400 Circuits, we are now able to have a box made exactly for the Neo Geo Pocket USB LinkMasta. Isn’t it pretty? We are quite proud of it. 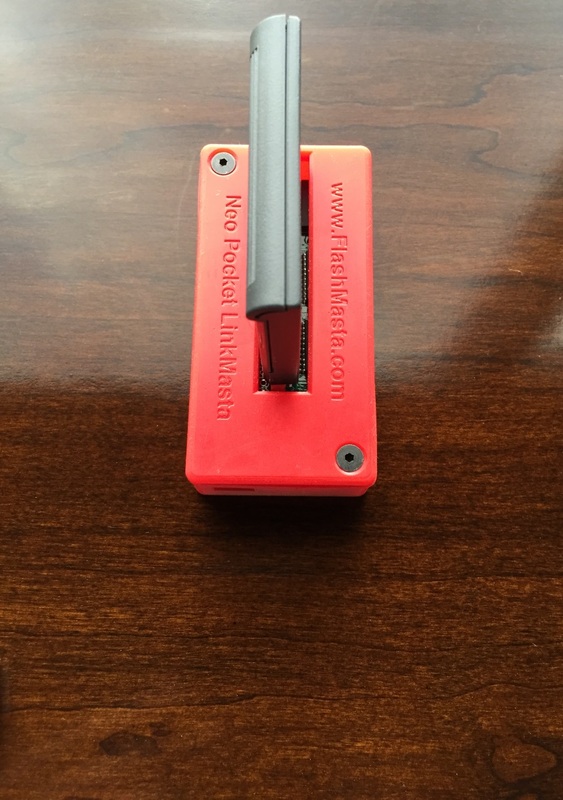 All new orders will now include this new 3D printed case enclosing the LinkMasta USB device. 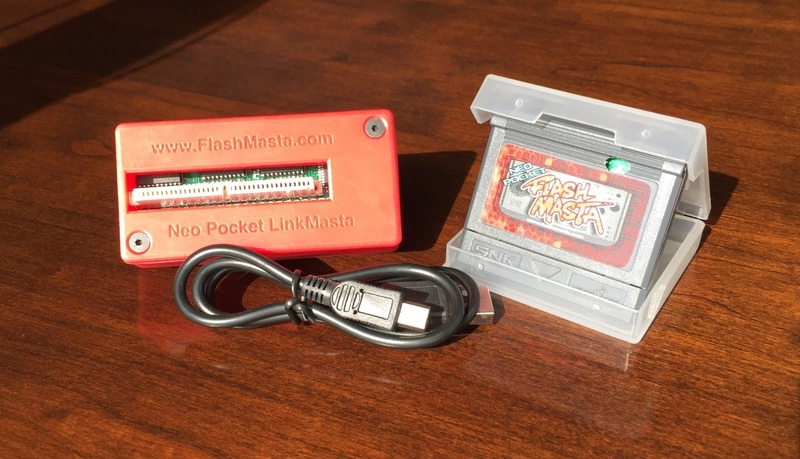 If you are an existing owner of a Neo Pocket Flash Masta kit, and you want these new clothes for your LinkMasta, you can purchase one at the 7400 Circuits Shop (http://www.7400circuits.com/shop/). 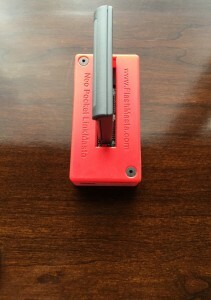 There were a few 3D printed cases that were sent out before we landed on this exact design. If you received one of those, you should know who you are, and, if you want a new red case as shown here, please get ahold of me. You should have my email address from your order, or use the contact form. To provide a little more information to anyone that’s curious, 7400 Circuits is a new company that I am a partner of. The case was designed there (with my input). I don’t know what the future holds, but we may see 7400 Circuits helping out more with the flash cart stuff that I do here. I don’t expect that this will change anything from your standpoint, but I thought that you might be interested since it’s the first time that “7400” name has been mentioned here. Here are some more pictures of the new case. Those are super snazzy! Great job! And good luck with the partnership! We have been really pleased with what we can do with this new printing process. Thanks. I just did that today, because Google told me that the site wasn’t mobile friendly. Very Nice, Ed. Nice to see the progress of the Flashmasta. Thanks. 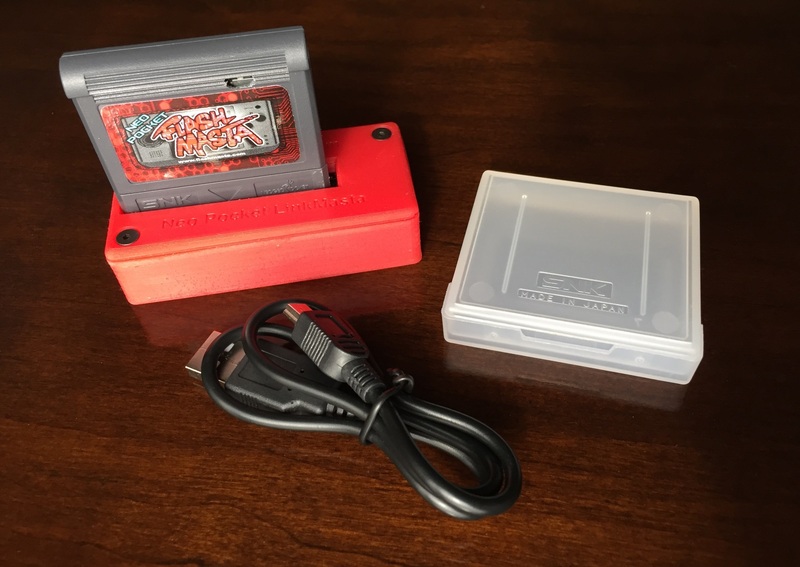 There’s a new NGPC PCB in the works, too. Stay tuned!